The Department of Defense just finished up its latest “Space Week” on the heels of the first congressional hearings and testimony on President Trump’s Space Force strategic objective. As Acting Defense Secretary Shanahan said at the 35th National Space Symposium in Colorado Springs, “a space architecture that is resilient, responsive, and ahead of the threat” is what we are building! This architecture not only includes the Space Force, but also the Department of Defense Space Development Agency, and a re-activated functional combatant command, U.S. Space Command. Unfortunately, even though the time has come to create the sixth service in the war-fighting domain of Space, many general officers, space defense policy elites, and politicians are condemning the move. These arguments have a very familiar ring to them. Looking back to the history of air power development under the U.S. Army in the early 20th century, one can almost hear the arguments and anger from senior Army generals hurled at Deptula’s organization’s namesake, Brigadier General Billy Mitchell. Mitchell was even court-martialed for his outspoken advocacy and actions on behalf of creating an American air force as a separate military department and armed service. Let’s take a look at the bureaucracy first. Contrary to Deptula’s objection, the new Space Force is directed to “consolidate existing forces and authorities for military space activities, as appropriate, in order to minimize duplication of effort and eliminate bureaucratic inefficiencies” in Space Policy Directive-4: Establishment of the United States Space Force. The guidance explicitly contradicts the logic of opposition by cleanly separating civilian agencies from military forces. This directive orders elimination of extra bureaucratic inefficiencies, so to create more would be against the president’s written order. All of us oppose additional bureaucracy because it hinders preparing for (and conducting) war-fighting, but the directive itself allays those concerns by giving the USSF freedom of action, even to eventually subsume control of the vaunted DoD Space Development Agency we’ve recently seen the current secretary of the Air Force so eloquently argue to do sooner rather than later. Second, General Deptula argues the USSF can’t be armed. I disagree. The fastest and most efficient capability of the USSF to deliver kinetic combat capability is to transfer, organize, train, and equip responsibilities for our land-based intercontinental ballistic missile forces to USSF on the front end. Additionally, terrestrial military space launch facilities will be owned and operated by USSF, completely opening the door to force application capability from and through the space war-fighting domain. A similar argument was used against the early air power advocates until Billy Mitchell, violating orders from the generals and admirals protecting their budget turf, demonstrated definitive destructive air power capability delivered by aircraft against military ships. The worry was showing the weakness of the Navy forces, battleships in particular. Mitchell “held that a thousand bombers could be built for the price of one battleship making aviation a more economical defense force.” And the same could be said for future space power capability, as a potentially much more economic target destruction capability than bomber and fighter aircraft costing hundreds of billions of dollars each. Just as in the early 20th century with concerns of air power, this argument only serves to hinder our country’s ability to field the USSF, a risky proposition considering we got caught up in World War II before the U.S. Air Force could be created due to the same foot-dragging. We need to get ahead of potential adversaries now instead of willfully going slow due to political (civilian and military) reasons. I’ll address opposition arguments about “undefined staffing” and the “uncertainty” of the plan at once. These are typical organizational arguments against taking the road less travelled in large government organizations, one of uncertainty while achieving a leading edge and innovative goal. President Trump is an entrepreneur at heart and leads from that perspective. For once, our military and Congress should take his valuable guidance and think like innovators and entrepreneurs so we can win and get ahead of all our potential adversaries in the space domain. I’m not saying it isn’t hard to do or without risk, I’m saying that we are Americans and we do things that are hard when they are the right thing to do, just as President John F. Kennedy said. This is one of those moments. In war-fighting, from men like General Chuck Horner and Lt. General Deptula I learned that slow is not the better option in achieving victory. We all know the old adage, that “I’ll take a less than perfect plan now, rather than a perfect plan later, if the timing, the threat from the enemy, and the momentum of my forces, drives to my decision to attack at this moment will save lives and win.” But, this plan is not less than perfect. 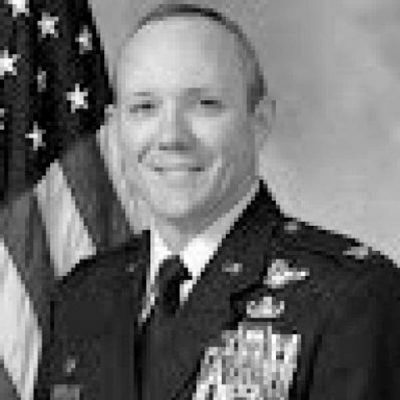 In fact, we have been going slow, too slow; we are already developing space power theory, but Space Force’s spending and budgets face stiff competition for priority in Air Force budgets, and we have established well-understood policies to maintain the synergy not only between space and air forces, but also ground and naval forces. In fact, to the last point, the U.S. Air Force and U.S. Army are models to replicate when it comes to maintaining cross-domain forces synergy. All you have to do is take a look at the record. Such as the 1984 Memorandum of Agreement on U.S. Army-U.S. Air Force Joint Force Development Process to see the level of effort the Air Force and Army have put into working together to ensure the best American capability meets any enemy on a battlefield. Avoiding the pitfalls and lessons of the USAF-USA relationship is very important for the future relations and agreements of the USSF and USAF. Our nation has invested vast amounts of resources and effort to study and document these lessons as a roadmap for the very conditions we face with the USSF today. Just one example is the 1971 Rand Study: Army-Air Force Relations: The Close Air Support Issue significantly documents the historical disagreements and resolutions to the challenges maintaining a key synergy between air and ground forces on the battlefield. We are currently in a very slow and deliberative process that can move faster, and we should. Let’s take a look at just how slow and deliberative. The question today is: Are we premature in establishing the USSF? We are well beyond the near term and potentially even the mid-term, so how long should the U.S. Space Corps within the Air Force last? Not very long. Space can no longer be ignored as a warfighting domain that is being challenged by our potential adversaries. Now, can the Air Force maintain it air power capability while facing massive overtake of the Space Force’s budget that has already occurred? These realities push us more into the long-term view Story describes. The old bureaucratic opposition arguments don’t hold up in this reality. Unlike the prematurity argument and others used against air power before creation of the separate service, we can’t (and shouldn’t) accept the increased risk and fail to create the USSF sooner rather than later; we would only be letting ourselves be lulled into a false sense of security. The lesson of the past is clear. “After World War I, air power advocates wanted Congress to create an independent Air Force; however, senior Army leaders were able to convince Congress that the formation of an independent Air Service was premature [emphasis added].” And we entered World War II without the best air forces organization and combat doctrine possible, costing lives and resources.